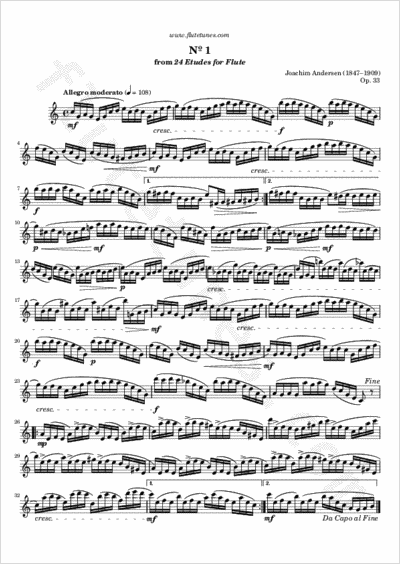 Today we propose the first étude from Joachim Andersen's Twenty-Four Etudes for Flute, Op. 33. This is basically a never-ending run of sixteenth notes, but don't be afraid to breathe!